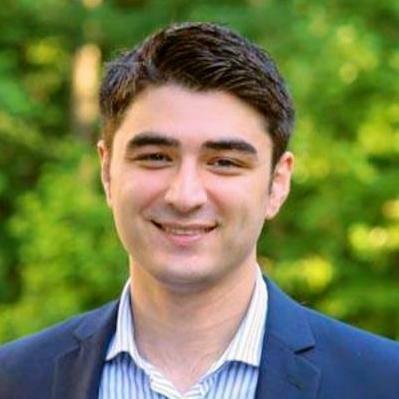 Ashkon graduated with honors from the George Washington University law school and also has a bachelor's degree in Computer Science from the University of California at Santa Barbara. Ashkon brings expertise in patent law, having represented some of the largest technology companies in high stakes patent litigation. Prior to starting his own practice, Ashkon was an associate at a top tier international law firm for almost 4 years, specializing in IP Litigation and Patent Law. He has prosecuted over a hundred patent applications in a wide range of technologies. He lives in Los Angeles but represents clients throughout the country. "Ash was extremely quick to respond to me and answer any questions I had. He is well versed in technology and optimistic in his recommendations. I will be working with him again in the near future." "Very Responsive and takes time to explain path forward." "Ashkon was very communicative about the process and responded quickly to my questions." "Ashkon is a nice person to work with." "Completed the assignment quickly and was happy to answer follow up questions." Prepare and prosecute patent applications in various technologies, including medical devices, computer networks and software systems. Prepare and prosecute trademark applications. Draft, review, and interpret licensing and settlement agreements. Provide guidance on intellectual property strategies. Represented major technology companies in various stages of patent litigation. Prepared and prosecuted patent applications in various technologies, including wireless systems, medical devices, computer networks, security systems, and software systems. Provided guidance on intellectual property strategies. Drafted, reviewed, and interpreted complex licensing and settlement agreements. Prepared and Prosecuted U.S. Patent Applications involving computer-based inventions, including software-based inventions directed towards database management, Internet and other network-based search algorithms, graphic user interfaces, and computerized manufacturing environments. Drafted Amendments, responded to Office Actions, conducted Examiner interviews, and prepared IDS statements and CIPs.